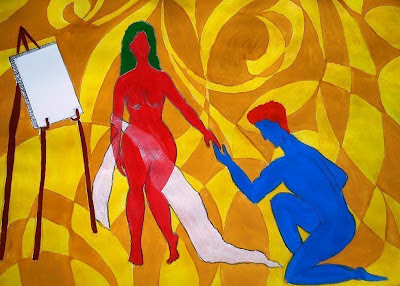 Please me, hurt me, love me or hate/ But touch me, move me, that I may create. 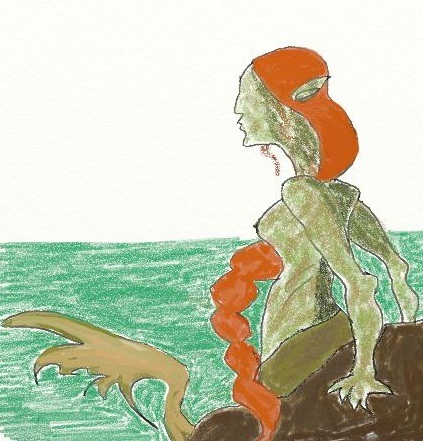 Another attempt on the Adesso graphic tablet. You’re standing in an open field, listening to the birds, watching the crop sway. And then, without warning, a train hits you from the behind. There are no horns, no warning signs,… heck, there isn’t even a train track! The Murakami phenomenon hits you like that. ‘After the Quake’ was my first experience of Murakami, but I don’t remember it too much. 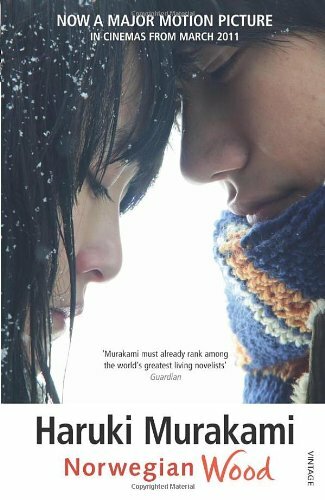 I would have even forgotten about the author had my friend, Kedar, not urged me consistently to read ‘Norwegian Wood’. He made it sound like I was missing out on some extraordinary magic trick. So I conceded. But when I started the book, I was prepared to be resentful of both, the book and the author, which have become “international bestsellers”. Yes, I treat that term with extreme suspicion and hostility. But I started to read anyway, and before I knew it, BANG! came the train. And then there are the characters. Vast, complex, sweet, twisted, yet comprehensible characters. 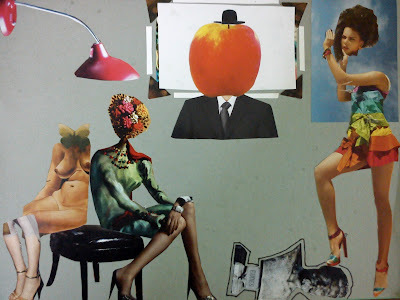 Characters that are whole stories in themselves. All protagonists of the moment. The 19-year-old Toru Watanabe – a young, ordinary man flung into extraordinary relationships, the vulnerable Naoko – sailing together the boats of the past and the present, the inimitable Midori, the sad-funny Reiko and other minor characters like Kizuki, Nagasawa and Hatsumi are all deep chasms unto themselves. And then there are the miasmic relationship triangles – relationships so complex, only real life could rival them. With layered interactions between Kizuki-Naoko-Watanabe, Naoko-Watanabe-Midori, Reiko-Naoko-Watanabe or even Nagasawa-Watanabe-Hatsumi, Murakami goes on reminding the reader that relationships are not linear arrangements. Murakami paints love mostly in colours of pathos, but it is not without its moments of joy and brazen sexuality. Despite the pain of loss and longing, desires find a way of surfacing in Murakami’s characters. Much like life. Watanabe’s deep, poetic love for Naoko co-exists with his sleeping with multitudes of strange women. Reiko’s ‘guardianship’ of Watanabe does not stop her from sleeping with him as a simple act of intimacy. The beginnings of Midori’s love for Watanabe have no bearing on her relationship with her boyfriend. As I moved along the pages of the novel, I wondered if such poignant love was possible for teenaged characters. Then I remembered that such love, unmarked by pragmatism, is possible ONLY for teenaged characters. It reminded me how wonderful and painful youth is. Murakami’s writing is crushing in its honesty, and clarity, which is perhaps why it has gone on to become one of his best-loved works. Go, read the book, Youtube the Beatles’ song that this book borrows its title from, watch the movie, find your connections, lend ears your aching parts. Let that train run over you. 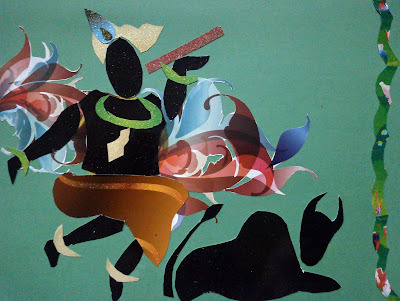 I HAD to make a Janmashtami special collage. This is my Kaala. First graphic tablet painting. I think it isn't bad for a first time. What say? For one day, give those thoughts a break. Don't think. 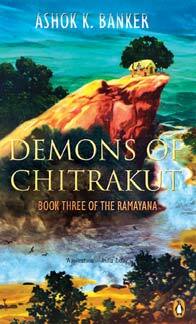 So, the Demons of Chitrakut is an account of the time between the Rama-Sita wedding to their exile in the forest of Panchavati. Pretty much the whole story takes place within the Suryavansha palace in Ayodhya and by the time one gets to the forest of Chitrakut and meets any demons, the book is nearly over. So what takes Rama, Sita and Lakshman so long to justify the title of the book? Drama, and a lot of it, in true Banker style. We have Queen Kaikeyi, under the influence of Manthara and her evil spells, seducing the near-dead King Dasarath, extracting her two boons, and then regaining her sanity only to repent her actions. We have an outraged Dasarath divorcing Kaikeyi, getting his heart broken at the realization that he has banished Rama and crowned Bharat the crown-prince, and finally dying. We have, of course, Rama leaving dutifully, Sita and Lakshman in tow. We have Queen Kausalya being noble, etc. and becoming regent to the throne and we have Manthara jumping off a tower and dying because that’s how it must end for the bad guy, right? Cut to Lanka, and we have what looks like a brain dead Ravana and civil war in the nation. Finally, there is the Rama-Sita-Lakshman trio meeting sages, tribal folk, demons, Supanakha and more demons. But, as with all things, the book has some good things as it has bad. While Banker’s long-drawn details seem unnecessary for the most part, they do well to etch each character deeply into the reader’s mind. Always-the-underdog Lakshman, for example, gets a very definitive voice and character. Another notable thing in this book is Banker’s interpretation of the idea of Lakshman Rekha. Unlike the usual grains-of-rice or arrow-on-soil boundary that the Lakhman Rekha is thought to be, Banker translates it as a grassy path that Lakshman builds with his own hands – a kind of natural border around the hut. It makes more sense if later in the plot, Sita is instructed to stay within the ‘borders’ of the hut rather than inside some symbolic boundary. Supanakha’s character is also given more exposure, and her feelings for Rama, more sympathy. Disguised as a doe, Supanakha’s character follows Rama around all through the three books and one cannot help but feel bad when the showdown happens. But as the plot thickens, Rama’s dharma-esque behaviours become more frequent, and his character becomes increasingly unreal. But then that’s Rama, and this is the Ramayana – the chronicles of the ideal man.Yawn.